A view of the lower lake, Killarney, Ireland. 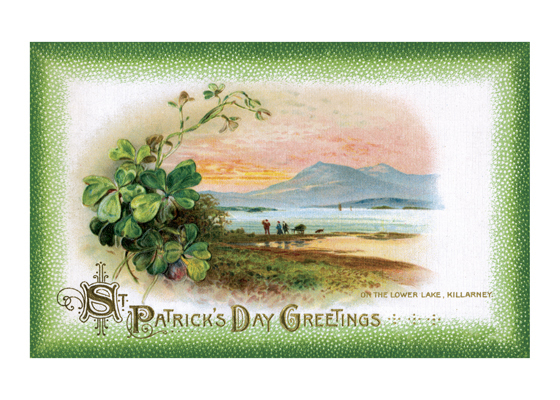 From a postcard printed about 1910, offering St. Patrick's Day Greetings and a nosegay of shamrocks with a view of a lake in the background. There were many of these cards with scenic views that represented Ireland. They were presumably sent by Irish immigrants to each other as sentimental reminders of the land they had left behind.